Compact Binoculars can come in handy in quite a number of situations.The best compact binoculars for you will be able to provide crystal clear viewing in any situation you find yourself in. Whether you are a hiker, a birdwatcher, a theatergoer or a sports enthusiast, it’s always convenient to have a quality pair of compact binoculars nearby. 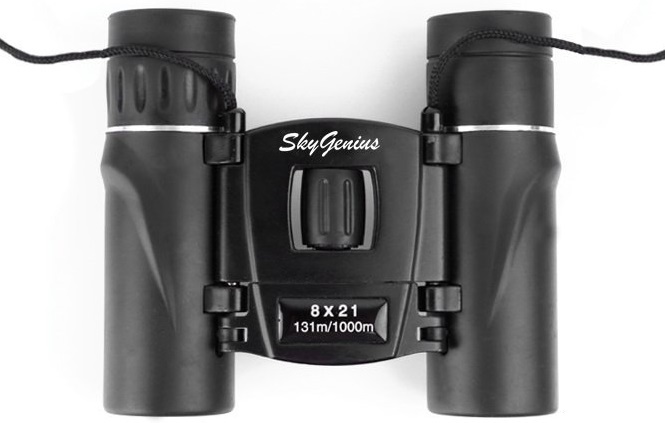 Not only are these binoculars small and light enough to carry with you at all times. The common misconception exists that when it comes to compact binoculars, quality will always be sacrificed in order to minimize size. This may be the case with a lot of small binoculars on the market, but if you make sure to invest in a reliable and durable pair from a reputable and well-known brand then you will have no problem at all when it comes to quality. Which Compact Binoculars is the Best for You? Choosing the right pair of compact binoculars for yourself will depend on a few things. This includes your budget, which features are most important to you and what type of situations you are going to be using them in. 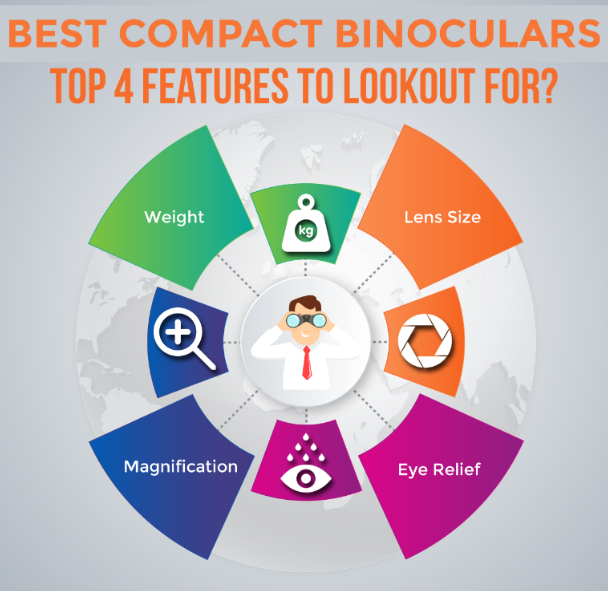 The following compact binocular reviews and buying guide can help you in picking out the best pair that will fit perfectly into your lifestyle. Ah, the dreaded “B” word. It is, however, extremely important to decide first of all how much you can afford to pay and then how much you are willing to pay. Prices for binoculars range from a few dollars to hundreds of dollars. Set yourself a price limit upfront so that you don’t get carried away when choosing your set in the end. It is always advisable to get the best pair that you can afford, but it is common sense to also factor in the cost-per-use. Is it worth paying $800 or $900 for something that you will only use once a year? On the other hand, how long is a $20 pair likely to last if you are using it every day? Generally speaking, the more you are going to use the set, the more it makes sense to pay more. That said, you do not have to start with a top of the range model either. You can get some pretty good options at lower prices. They may not have as many features, but they will work well. Luckily, most compact binoculars that are currently produced are very lightweight, which makes it easier to both carry around and hold while viewing. The next feature that you should be aware of is the lens size of your binoculars. Since compact binoculars are much smaller than regular binoculars, you shouldn’t expect to find a lens diameter larger than 28mm. Most pocket-sized binoculars have lens diameters of about 26mm. Lens size is important because your compact binoculars’ lens diameter will affect your viewing quality. Therefore, a bigger diameter means that the magnification of your binoculars will be greater and the transmission of light will be much better. The one feature that you might struggle with a bit when looking for a pair of compact binoculars is magnification, especially if you are used to normal sized binoculars. The higher the magnification of binoculars, the further you will be able to see with them. 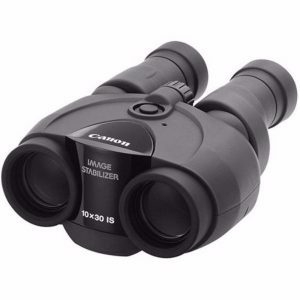 Therefore, if you are specifically searching for binoculars with very high magnification and a narrow field of view, then you should rather think about buying a full-sized pair. However, with a wide field of view and a magnification between 4x and 8x you will still be able to see quite a distance inadequate lighting conditions. For compact binoculars, this is perfect since the low zoom means that it will be much easier to keep your equipment steady and maintain focus. When it comes to magnification, compact binoculars that feature a magnification of over 10x aren’t normally recommended. The reason for this being that it can become quite difficult to keep your binoculars steady. The more powerful your binoculars are, the more magnified your hand vibrations will become. At first glance, you would think that the highest magnification is best, but you need to remember that the higher the magnification is, the narrower the field of view would be. So, at 10x magnification, you will be able to see further, but you will not be able to fit in as much of the scene as you would at 8x. If you are planning to use the binoculars for over short distances, it makes more sense to choose a lower magnification. Say, for example, you want to use them at the opera. A lower, 4x or 6x magnification would make better sense because you would see more of the stage. Furthermore, the more powerful a pair of binoculars become, the more likely you will be to need a tripod for viewing. Carrying a tripod with you isn’t always ideal and a lot of smaller binoculars don’t have tripod fittings in order to reduce size and weight. Therefore, if a pair of compact binoculars has a magnification of over 10x, you might have to look out for a pair with image stabilization features. When picking out a pair of full-sized binoculars, eye-relief won’t necessarily be something that you are going to consider. This is because most of these larger binoculars provide sufficient eye relief for eyeglass wearers. When buying tiny binoculars, on the other hand, this is a very important feature to keep in mind, since it can become quite a challenge to find a pair with large enough eye-relief. Eye-relief is basically the measurement of the distance between your eye and the eyepiece. Where most compact binoculars should do the job for a non-eyeglass wearer, if you wear glasses you should look for binoculars with a larger eye relief size that will not interfere too much with your glasses. 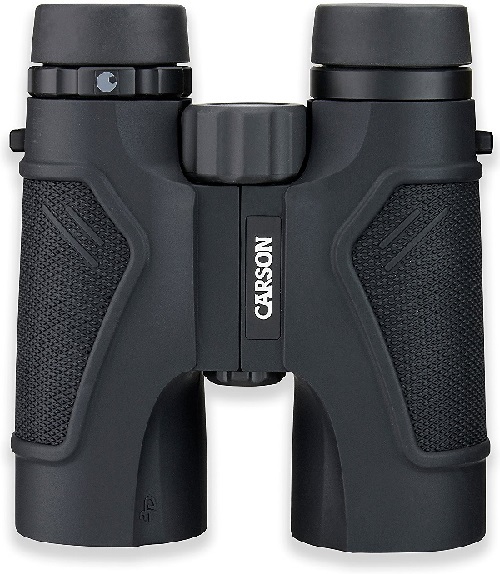 The Canon 10×30 IS Ultra-Compact is a reasonably priced small binocular that is both sturdy and light enough to hold for long periods of time. 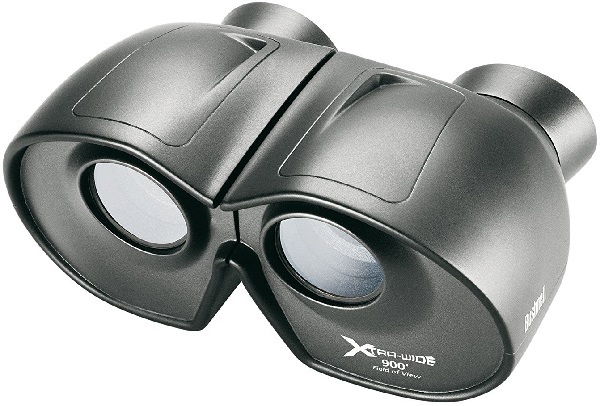 These binoculars produce high-quality images that are sharp and shake-free. This is made possible by the unique Doublet Field Flattener, the Super Spectra multi-coating on the lenses and the image stabilization. When adjusting the distance between eyepiece lenses so that they suit your eyes, you will be using a central hinge on most binoculars. With the Canon 10×30 IS, however, the eyepieces move completely independently from the body. The highlight feature of these binoculars is without a doubt its image stabilization (IS). This helps to reduce image shake when viewing. In some cases, it can even eliminate image shake altogether. Along with this, the Canon IS also minimizes eye fatigue and headaches that can be caused by swaying images. So if you have shaky hands or you are tracking moving objects such as birds, these binoculars will be the perfect buy for you. As an added bonus batteries, a neck strap and a carry case are included with the Canon 10×30 IS. 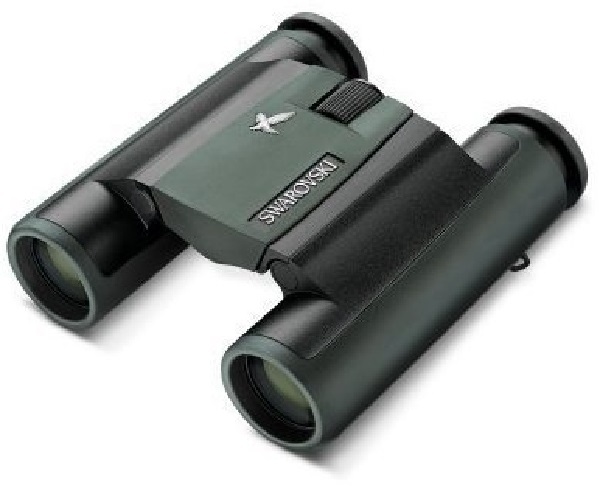 According to me, these are the best value compact binoculars that you can find on the market. 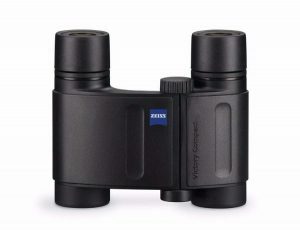 The Carl Zeiss Optical Victory Compact 8×20 may not be the cheapest pair of binoculars around, but they are definitely worth every penny. The Victory Compact is a high-quality pair of tiny binoculars that is both 100% waterproof and fog-proof. This compact waterproof binocular also has nitrogen filling which makes it extremely resistant to internal condensation. Furthermore, because of its rubber armour, the Victory Compact is shockproof and the LotuTec coating on the lenses helps to prevent dirt and water from sticking to the lenses. The asymmetrical design of the Victory Compact might come across as a bit strange at first, but these highly versatile binoculars will be able to fit perfectly into your lifestyle. 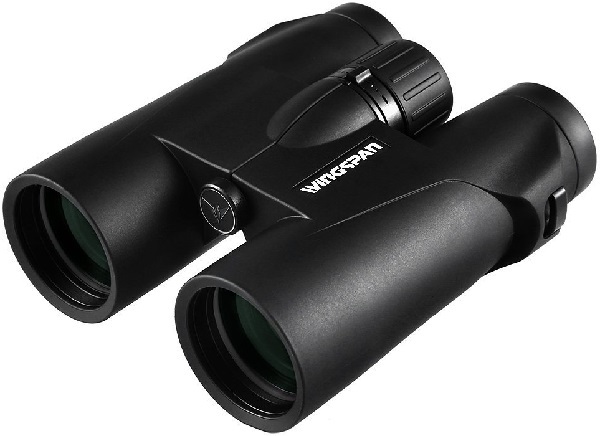 At only 7,94 ounces and 4 inches in length, the Victory Compact is one of the most compact binoculars that you will be able to find on the market. You will barely even feel these feather-light Zeiss compact binoculars around your neck when you are hiking or travelling. The Steiner 234 8×22 Predator Pro has been designed to be taken anywhere and can be used in extreme weather conditions. In these conditions, a firm grip is ensured by the tough aluminum housing that has a specially designed armour covering. These waterproof compact binoculars are small, light, rugged and provide good magnification and a wide view. The fast-close-focus on large centre focus wheel also requires you to make fewer rotations in order to get from close focus to infinity. This center wheel also operates perfectly even in wet, cold weather. The Steiner Predator series has been specifically designed with hunters in mind. 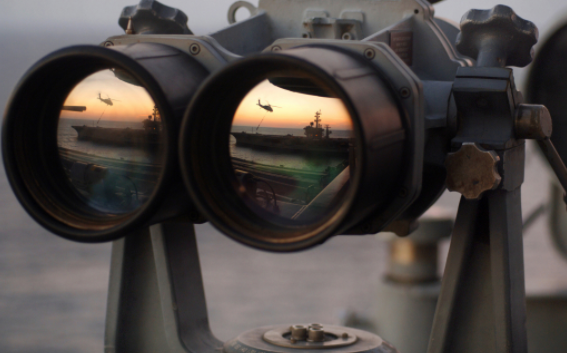 This means that they need to be lightweight, easy-to-use binoculars that have all-around capabilities in optics and produce bright pictures in any lighting conditions. The green tinted lenses of the Predator Pro help to filter out both haze and foliage colors, while at the same time emphasizing earth tones. These special color adjusted transmission coatings, along with great low-light performance makes it the perfect pair of binoculars for any type of hunter. 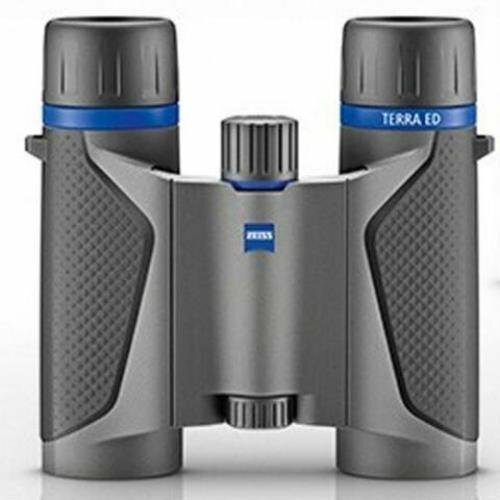 Due to their low price they are considered to be the best low cost compact binoculars on the market. These Leica compact binoculars are perfect to take along when bushwhacking, hiking or backpacking. The Leica Ultravids can fold up very neat and small. When it is folded up, it will quite literally fit into almost any pocket. Not only are they light and small, they have also been engineered to be close to indestructible with their aluminum body and shock absorbent rubber exterior. What’s more, they will be able to assist you in any type of weather conditions, since they are both fog-proof and watertight up to 16,5 feet. To further protect your binoculars an eyepiece cover, a woven carrying strap and a Cordura carrying case with a belt loop are included with the Leica Ultravid. Along with being a rugged pair of binoculars that can be used in any conditions, the Leica 8×20 Ultravid definitely does not lack in viewing quality. 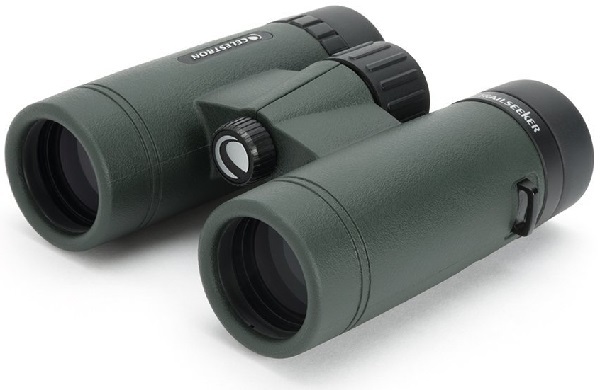 The optics are very sharp and surprisingly bright for such a small pair of binoculars and they produce crystal clear images that are color-fringe free with the highly advanced coatings on its lenses. 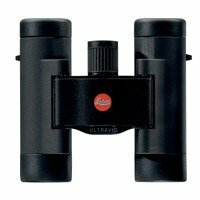 All in all, the Ultravid is a perfect example of binoculars that combine great quality, perfectly clear images, and a rugged design. Due to this versatility, they are considered to be the top travel binoculars. 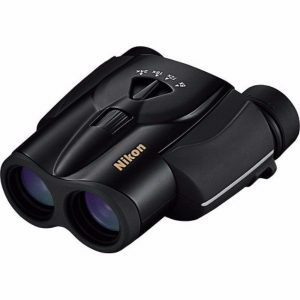 The Nikon 8-24×25 is an affordable compact zoom binocular that enable you to observe from afar and after identifying a target, zoom in further. The variable zoom is able to magnify an image to any magnification between 8 and 24 times. For a pair of compact binoculars, the brightness and image quality is relatively good. 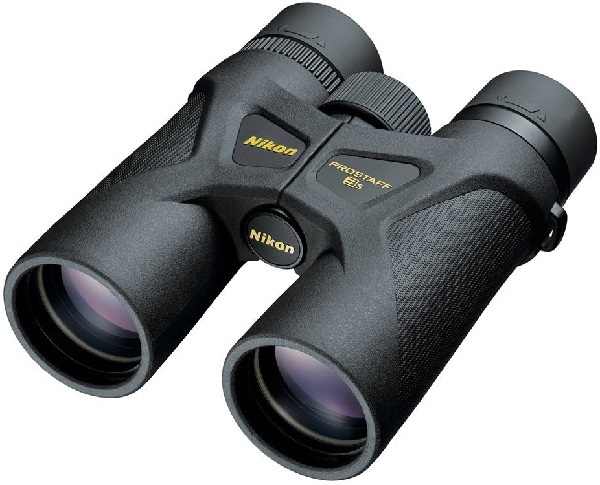 The multilayer coated lenses on these Nikon compact binoculars feature multiple layers of anti-reflective coatings. These coatings help boost light transmission in order to get a brighter image and thus better performance in low light situations. The Nikon 8-24×25 are unfortunately not fully multi-coated, meaning that they only have anti-reflective coatings on some of their air to glass surfaces. 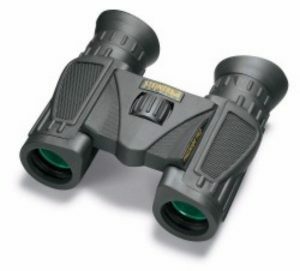 The only drawback with these binoculars is that because of their price, they may not necessarily be able to compete with their more expensive competitors. For the price range that the Nikon 8-24×25 falls into, they are not bad at all. They even come with a carry case for extra protection, a neck strap, and lens covers. Compact binoculars are able to offer you something that any full-sized binocular can’t – portability. Being able to have a pair of binoculars on you at all times means that you can just pull them out and view anything at any moment. Highly rated compact binoculars for you, though, will depend on both your budget and what you will be using your binoculars for. If you don’t have a very limited budget, then Canon 10×30 IS, Carl Zeiss Victory Compact 8×20 and Leica 8×20 Ultravid are great options to consider. 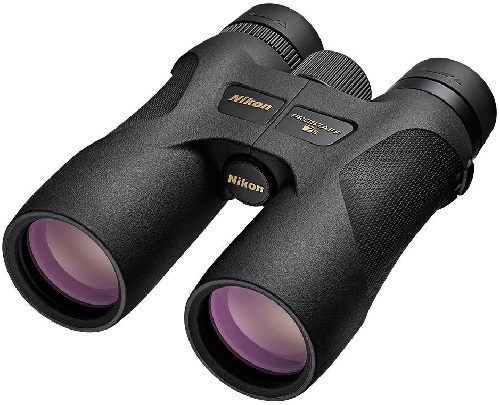 If you are looking for the best compact binoculars under 200 dollars, on the other hand, you should consider the Steiner 8×22 Predator Pro or the Nikon 8 24×25. If you are looking for a pair of binoculars that will be able to brave any type of weather conditions, then the waterproof Carl Zeiss Victory Compact 8×20, Steiner 8×22 Predator Pro, and Leica 8×20 Ultravid will be your perfect companions. At 15mm, the eye relief makes the Leica 8×20 Ultravid the compact binoculars for eyeglass wearers. Any of the above reviewed compact binoculars can take you pretty far depending on what you use them for. At the end of the day, the compact binoculars for you depends on how much you are willing to spend and what you want your compact binoculars to do. With any of these good compact binoculars, you never have to be in a situation again where you do not have your binoculars on you. Simply pull them out of your cubbyhole or pocket and enjoy the view. Its hard to pin down which brand offers the most Powerful long-range binoculars because there are so many options to choose from. We have gone through the myriad of options and come up with the most powerful options currently available and also kept in mind some of the activities that people carry out with these binoculars i.e. Concerts/sight seeing, wildlife viewing and whale watching. We have tried to evaluate the options in terms of value for money as well as quality, so that they dont break the bank. Zeiss offers exceptional quality. These are the most expensive option reviewed, but they still fall in the mid-range when it comes to pricing in general. They offer 10x magnification and a 54-degree apparent field of view. They stand up well to extremes of temperature ranging from -4 to 145 degrees Fahrenheit. Excellent results. The picture is clear, and the contrast is excellent. Color fidelity is high. Convenient focus wheel location makes it easy to change the focus when necessary. Great if the scene you want to see changes quickly. Excellent to use out of doors. Lightweight and compact. Can be folded and weighs next to nothing. Not great if you are on a tight budget. These are positively tiny, but they pack quite a wallop. When folded they will easily fit in your pocket or a lady's purse. Don't let the size fool you, though. The field of view is slightly restricted but is not bad at 369 feet, and the objective diameter of the lenses is 21 mm. The price is also extremely attractive making these ideal as a starter set or to take out and about to concerts. The multicoated optics offer and BK7 roof prism allow for highly clear images. Adjustment is easily accomplished and simple enough for a child to manage. These are an excellent set to kit the family out with before the annual vacation – you can buy each person a pair of their own. Nice and compact – when folded will fit in the palm of your hand. Not as durable as the more expensive sets so better suited to older children. ​If you are out on safari or viewing wildlife, you need to take road conditions into account. If the road conditions are especially bad, you will want something that will hold up to the bumps. These offer a rugged construction and excellent optics. ​The frame is lightweight and durable. ​Coatings allow for better views and higher resolution even in poor lighting conditions. ​Close focus feature allows you to zoom in on something up close as well. ​Comes with a great range of accessories, including an innovative rain guard. Which, as the binoculars are weatherproof may seem a little redundant, until you realize that it helps keep the lens clear of raindrops. Got to say, it is a small, seemingly insignificant feature but it does create quite an impact. ​Fully weatherproof and shock resistant. ​High-quality lenses and top range coatings. ​The eyepieces may be a little close-set for some. Read more about why inter-pupillary distance is so important here. Watching whales is an extremely relaxing experience, but you do need a set of binoculars that offer a good range and ones that allow you to quickly change your field of focus. These glasses from Wingspan give an ultra-high definition pic, specially designed for outdoor pursuits like whale and bird watching. What I like about these is that they are fairly versatile – they will work equally well when camping or for a day at the beach. ​Excellent field of view means that you catch all the action and can quickly and easily change your focus. ​High-quality optics provide excellent image and reduce glare. ​Excellent in all weather conditions – even when lighting is less than optimal. ​Completely weather-proof, dustproof and shockproof. 30-day money back guarantee. If for any reason you aren’t happy, return them for a full refund, no questions asked. ​A little on the heavier side. ​Getting the focus right takes some practice. Of all the sets, the Zeiss came out tops in terms of all-round versatility. They are an excellent brand and, though priced a bit more than the others, are worth the extra cost. Coming a very close second was the Celestron. It rates the best for outdoor use and comes with some really innovative features. The close focus feature is just one example of how innovative the company is. Oh, and did I mention the rain guard accessory? (Okay, yes, that really made my day.) The only caveat I would give when it comes to the Celestron is to check your measurements to ensure that it will be a comfortable fit. Is it worth shelling out the extra for either the Zeiss or the Celestron when you have the relatively inexpensive SkyGenius to consider? That depends on what you plan to use the glasses for. The SkyGenius is most definitely an indoor set and so not really as suited to outdoor use. However, if you want something to get your kids into the spirit of things, it is a perfectly acceptable, affordable alternative. So many binoculars to choose from, and so little time. How does one decide which are the best small binoculars to buy? Do you look for magnification power, or do you focus more on durability? Is the brand important or do you focus more on price? In this compact binocular review, we help you narrow down the top compact binoculars for sports and events. We have narrowed it down to the best of the best for every event. Read on to find the best glasses for the opera or what you should use when watching a game of football. These do not look like your standard set of binoculars. They do, in fact, look like the ugly stepsister – short and squat. But don’t let that put you off. If you are going to the theater or the opera, you want the maximum field of view possible. And that is what you will get with this set. The increased field of view more than makes up for the lower magnification – after all, when you are watching a Broadway production, you want to see all the details, rather than feeling as though the actors are sitting on your lap. The glasses come in at a very favorable price and have a special coating to maximum brightness, ideal for the lighting in a theatre. Bushnell has a very well-established name in the industry and so have added some convenient features for this set. It is focused more on indoor, or light use, though. It is not mountable and not waterproof, so it is not a very versatile choice. That said, with the price being relatively low, this specificity is not that much of an issue. Superior field of vision – you see the whole stage. Excellent quality visuals and excellent brightness. Focus-free allowing you to keep track of the action. You are not able to set the focus. ​The magnification is not as high as on standard binoculars. It is perfect for the theater and for when you want to watch things that are closer, but not for items at a long distance. 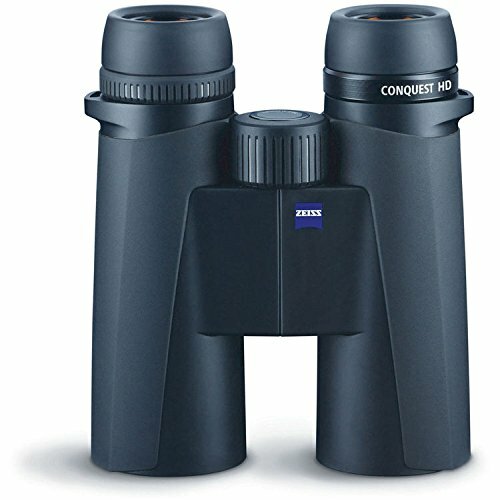 Zeiss 10x42 is another great name in the industry and features top-class German design and manufacturing. The design is lightweight and rugged, making it an ideal companion for backpacking. The glasses have been ergonomically designed so that you get the best out of them on the field. They will withstand extreme temperatures with a temperature range of between -68 to 145 degrees Fahrenheit. Feature LotuTec coating to make them waterproof up to 400 mbar. HD clarity and superior transmission of light mean that you always get the optimal view, no matter the conditions. Eyecups rotate and lock making it possible to accommodate prescription glasses or sunglasses. A trip to Alaska can be a once in a lifetime experience. It is one of the few remaining unspoiled wildernesses available to us. That means that you need a good compact binoculars quality set of binoculars so that you can have the best experience. This set is exceptional because it has an apparent angle of view of 63 degrees. It is quite in a class of its own in this respect. This is especially useful on a cruise to offset the disorientation that might accompany viewing and motion-sickness. The lenses allow in the maximum amount of light so you can see in even in adverse weather. The design is rugged, waterproof and dust-proof. This set will stand up to extremes of temperature – perfect for your trip to Alaska or a sunny day in Miami. The price is good – it is on the very low side of mid-range pricing. Considering the features, you are getting; this is exceptional value. The lens caps are not great and are prone to falling off. Swarovski is better associated with jewels, but the name is appropriate in this case for this gem of a set. They are in the upper price range, but they are of top-quality design and so convenient. Enjoy the football game in true to life colors and high contrast. The HD lenses make it possible to really feel as though you are out on the field with the players. When the game is over, just fold them up and put them in your pocket – it doesn’t get more convenient. Fantastic quality lenses that make a visible difference to your viewing experience. Durable – will take a bit of a tussle if the football fans get out of hand and will last a lifetime. Twist-in eyecups make it possible to be comfortable even if you wear sunglasses or prescription glasses. ​The eyecups are made using a material that is hypoallergenic. This is in the higher price range. When it comes to the best of the binoculars for sports and events that we have reviewed here, it is hard to choose a favorite. The Nikon is great value for money and perfect as a starter set. The Zeiss and the Swarovski are about the same price and offer fairly similar features and the same high-precision European manufacture. 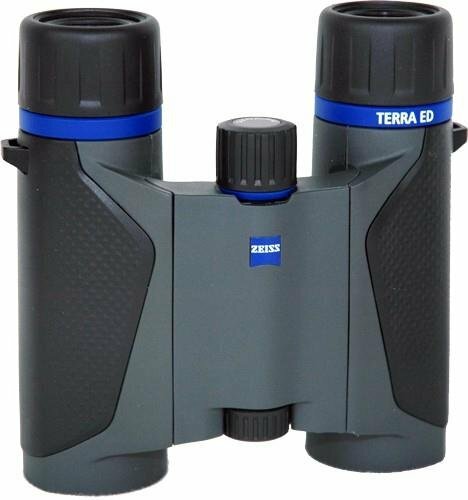 They are perfect for the enthusiast who wants more out of their binoculars. If you are looking for a general, affordable pair of glasses, the Nikon wins on sheer versatility. But don’t count out the Bushnell’s if you are an avid theater-lover. They offer a lot of punch for the price. When it comes to enjoying the outdoors, the right pair of binoculars makes a huge difference. Whether it is looking for wildlife, or getting a closer look at the upcoming terrain, a great set of binoculars can make the experience a lot more enjoyable. But there are a lot of choices on the market. How do you get the best deals on compact binoculars when there are so many options out there? 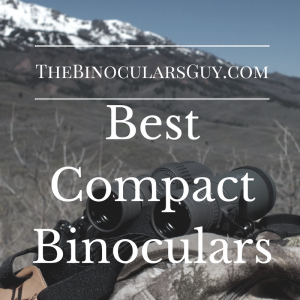 To help you narrow down your options, and find the best possible fit for you, we have compiled this list of the compact binoculars for the outdoor enthusiast. Whether you are looking for the best lightweight hiking binoculars or the best small hunting binoculars, we have you covered. We’ve started off with a basic summary of the main points for you if you are in a rush. If you have a little more time on your hands, the full reviews are below the table. These are one of the best small binoculars for deer hunting and bow hunting. When you are out hunting, you want binoculars that are not going to weigh you down. You want a set that you can carry easily and that helps you spot elusive quarry. The set is really compact and lightweight. They offer reliable performance under extreme conditions. They will resist up to 100 mbar of pressure and a temperature range of -4 to 145 degrees Fahrenheit. Well-suited to outdoor use even in extreme conditions. The focus wheel is conveniently located. Folds easily when not in use for ease of transportation and storage. SCHOTT ED lenses that have a coating to repel water make them ideal for use in humid conditions. ​You have to buy the case separately, but this might not be such a bad thing anyway. I would rather have to pay for a decent case than get some cheap rubbish that needs to be replaced anyway. This is a well-known brand that scores high marks for having one of the best warranties in the United States. These qualify as the top rated compact tactical binoculars overall and so will be an excellent choice for hikers. Highly durable, rubberized outside to protect lenses and provide a firm grip. Longer Eye Relief: This helps makes these a lot more comfortable if you need to wear prescription glasses or sunglasses. This helps makes these a lot more comfortable if you need to wear prescription glasses or sunglasses. HD optics with ED glass lenses give these a crystal clear picture and high color fidelity. Comes with a good case that ensures that the lenses are protected from the worst knocks during hiking. The glasses come with both a shoulder harness and comfortable neck strap. A nice wide field of vision with. ​Easily mounted on a tripod. ​The guarantee is outstanding. If the binoculars break for any reason, you can send them in to be repaired or replaced. Even if it was your fault, the company would assist. ​Not as adjustable when it comes to inter-pupillary distance. Read more about this concept here. When you are on safari, you want a set of binoculars that is lightweight enough that you can hold them up all day. You want comfort and a set that allows you the best field of view and clarity. With the Prostaff, you get all those things and also the knowledge that you are dealing with one of the finest companies when it comes to optics. The eyecups are adjustable so that you can use the set when wearing glasses or sunglasses. Good, non-slip surface and easy to grip. Brilliant color fidelity and clarity. ​The lens covers seem cheap.